'There's no such thing as magic,' the Doctor said. But the land of Elbyon might just prove him to be wrong. It is a place, populated by creatures of fantasy, where myth and legend rule. Elves and dwarves live in harmony with mankind, wizards wield arcane powers and armoured knights battle monstrous dragons. Yet is seems that Elbyon has secrets to hide. The TARDIS crew find a relic from the thirtieth century hidden in the woods. Whose sinister manipulations are threatening the stability of a once peaceful lane? And shat part does the planet play in a conflict that may save an Empire, yet doom a galaxy? 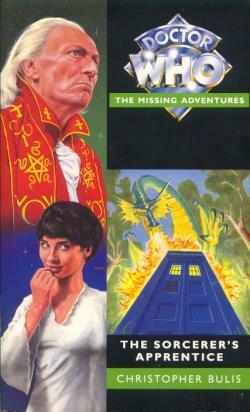 To solve these puzzles, and save his companions, the Doctor must learn to use the sorcery whose very existence he doubts. This adventure takes place between the television stories Marco Polo and The Keys of Marinus. Christopher Bulis is the author of two previous Doctor Who books, the New Adventure Shadowmind, and the Missing Adventure State of Change.